My sewing room is buzzing with activity at the moment as I prepare this pile of assorted t-shirts for another quilt. I have been commissioned to make 4 t-shirt quilts for Birthday gifts, the first needing to be completed by March. Thankfully Jo Ann fabrics had their iron-on interfacing on sale 50-percent off last week and I was able to buy a full bolt of it. Taking time to tape down the quilt backing has really made a nice difference on how smooth my quilt backs are turning out. I was expecting the top to be easy to pin and stitch since each t-shirt square has interfacing ironed on....but it wasn't. When it was time to begin the quilting I had problems with puckering as well as little bunches here and there where the t-shirt fabric just would not stay put; because of this I was not able to quilt it as heavy as I would have liked. Overall I am pleased with the quilt. I like how the denim looks and I really like the extra weight the denim adds. I like this idea of turning t-shirts into memory quilts; what a good idea someone had! Once I had all my t-shirt blocks completed I arranged them in stitch order. I had planned to use a dark blue cotton fabric for the sashing but changed my mind at the last minute and used a light weight denim. I love how the denim looks and the best part is denim works so well with many colors. The top and bottom border was used for patches we have collected over the years for different activities. The quilt top is now complete; I only lack sandwiching the quilt and then the actual quilting. I really love how it is looking. Would you like to know what's going on in my sewing room? I have been busy cutting up assorted t-shirts. Jonathan gave this pile of t-shirts to me a couple of months ago to make into a Memory T-Shirt Quilt; but I didn't get around to starting it until recently. Oh my, the memories these shirts bring back! Veggie Tales and Adventures in Odyssey were a very big part of Jonathan's childhood. Pat and Jonathan helped several times with the building of a local park. I so love Mickey Mouse. Most of the shirts that will make up the quilt are music related and came from Band Camp, Pastorale and the Lubbock Youth Symphony Orchestra. I am so anxious to see how the quilt is going to look when completed. Two years ago Pat built a cedar chest out of some old wood flooring we had stored in the barn. It turned out so pretty but lining it with cedar was put on hold when Pat ran out of time to finish it. Last week Pat began working on the chest once again. It's amazing how pretty cedar is and I so love the smell. What a wonderful Hope Chest this will be for Elizabeth. Begin with Rome apples; I have never used any other variety. Wash them well and remove the core leaving a small part of it at the bottom of the apple. Basically you need to hollow out the apple's center but not cut a whole completely through. Fill each apple with sugar. I have always used white sugar but plan to use brown sugar sometime to see what happens. Place a very small amount of water in the bottom of your pan and cover. Bake at 350 until the apples are soft. The skins will split when the apples are ready. Spoon some of the liquid syrup, at the bottom of the pan, over top of the apple before eating. These are the most amazing apples ever! My nephew Joshua and his wife had a baby boy, Caleb, in October; for Christmas I made him this quilt. It was made with a Moda charm pack called, Red White and Bold. The sashing is Kona cream. The sashing has been quilted with vertical and horizontal lines using variegated thread and each square has stipple quilting. The back of the quilt is a Moda print from the same line. I hope Caleb likes the quilt as much as I do. We spent the last of 2010 having fun with family in El Paso! My sister-in-law's dad took us to Scenic Drive so we could see the beautiful lights. 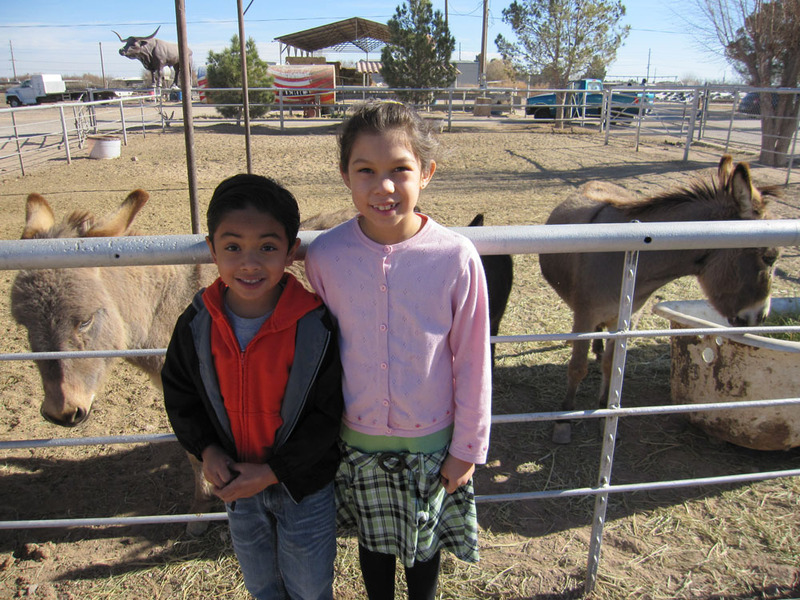 On the second day of our stay we took the kids to a small town called San Elizario to visit the Licon Dairy. While there Elizabeth and her cousin Richard played and we ate some of the best cheese I have ever had; Queso Asadero. 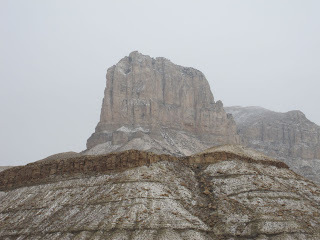 On the evening of our last day in El Paso it rained and then snowed. The roads in town were clear but driving through the mountains was a little scary since the roads there were covered in ice. During our stay in El Paso Pat and his brother Barry decided to make a miniature movie. It's just under 1-minute but took over 7 hours to create from start to finish.